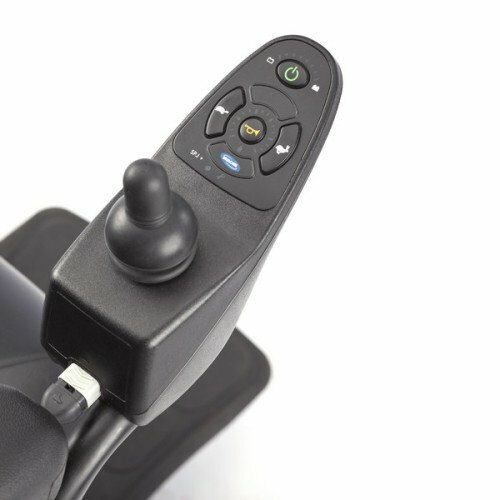 Presented in a stylish compact size, the Pronto M51 power wheelchair with SureStep has true center-wheel drive performance for exceptional maneuverability and intuitive driving. 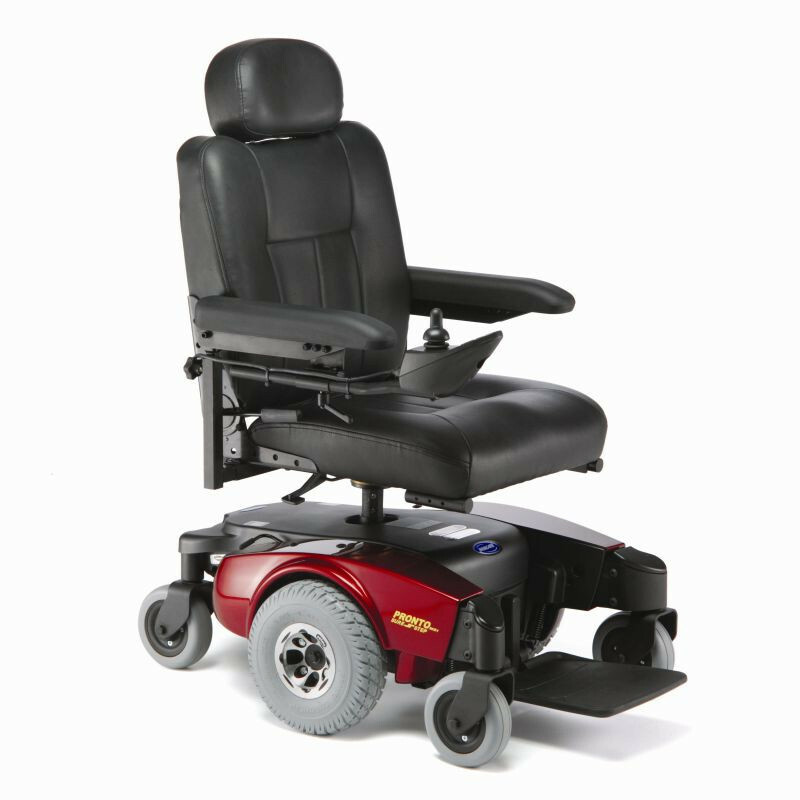 Featuring a medium back van seat and innovative SureStep technology, the Pronto M51 provides a smooth, less jarring ride over transitions and thresholds up to two inches in height while maintaining stability. The Pronto M51 is attractively designed for optimum maneuverability and accessibility. Length (with footboard folded): 34"
Length (with footboard down): 38" - 40"
Drive Wheels (Flat-Free): 10.5" x 3.5"
Front (with footboard down): 19.5"